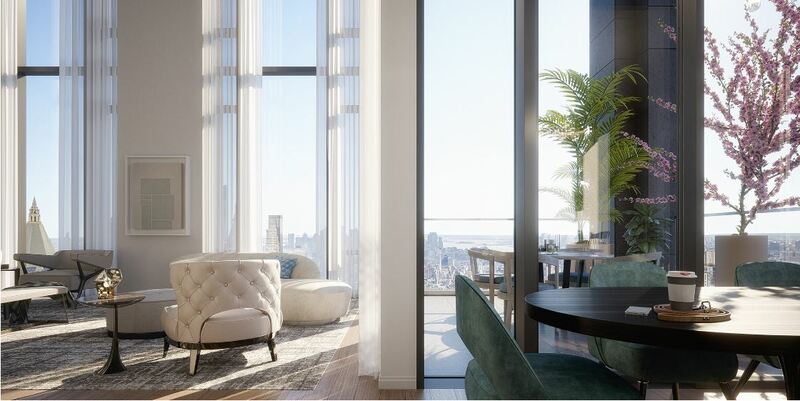 Developer: Victor Group and Lendlease; Architect: Rafael Viñoly; Interiors: Jeffrey Beers International. 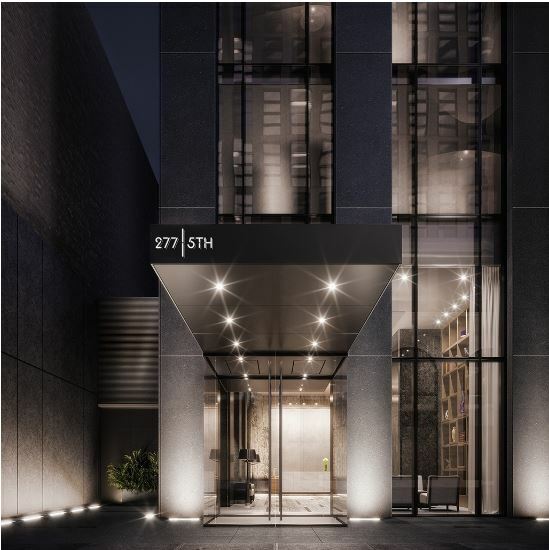 277 Fifth Avenue is a new luxury condo development in NoMad / Midtown South neighborhood of Manhattan. 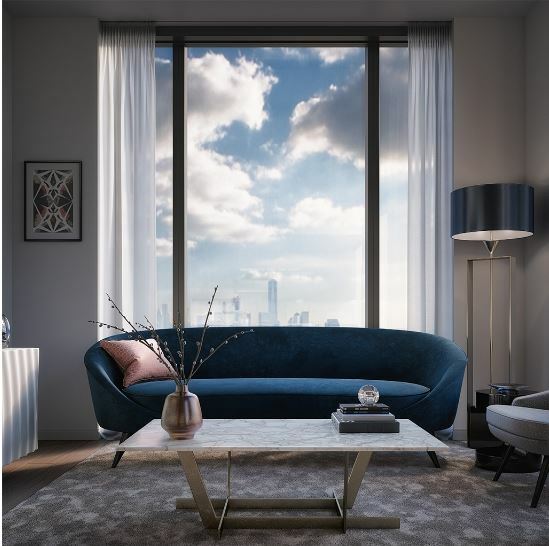 The commanding 55-story tower offers 130 distinguished one to four bedroom residences showcasing thrilling panoramic views of the Manhattan skyline, including the Empire State Building, the Chrysler Building, the Flatiron Building, One World Trade, and beyond. 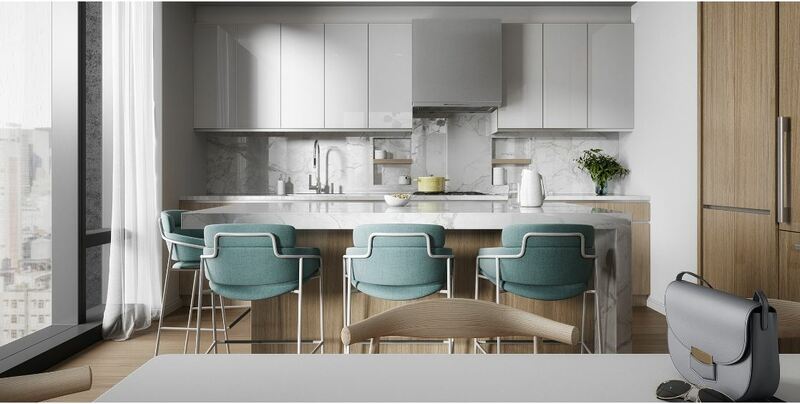 With a distinguished Fifth Avenue address and an ideal NoMad location in the center of Manhattan’s most sought after restaurants, parks, shops, and hotels, 277 Fifth Avenue residents are poised to enjoy the very essence of what makes living in New York extraordinary. Interiors are graced with oversized windows and ceilings reaching ten feet, in addition to a selection of warm woods and elegant natural stones. A light-filled suite of amenities, designed by Jeffrey Beers, spans two floors and offers residents carefully curated spaces for relaxation, socializing, and recreation with a lobby library featuring a double-height bookcase wall, an entertainment suite featuring a bar and private dining room with catering pantry, a fitness club opening onto the furnished Fifth Avenue Terrace, a games lounge, and a kids’ club. 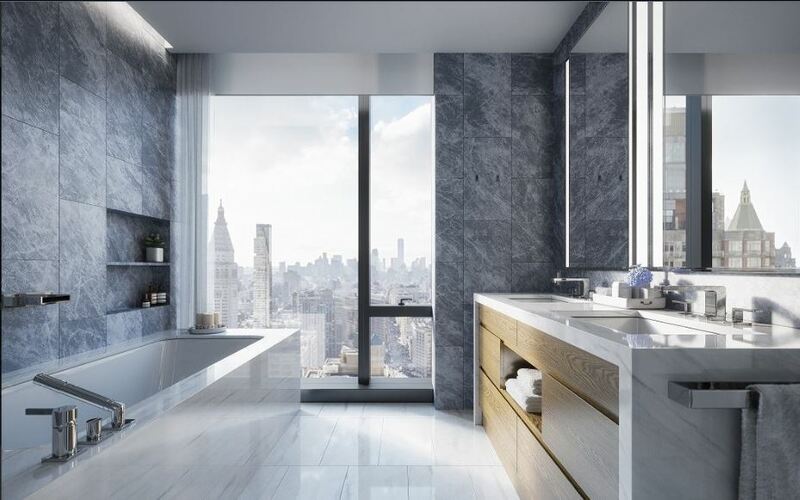 Prices: 1BRS starts at $2M; 2BRS from $3.01M; 3BRS from $5.58M.